Exclusion of unauthorized Mexican immigrants from the U.S. public health system has not deterred migration, which is primarily driven by the demand for labor. It has, however, contributed to deepening social inequities in access to health care. These inequalities both reflect and are driven by differences in integration processes that vary by ethnic group/race and migration status. The most marginalized groups are those that are most excluded from the health system. The Mexican immigrant population in the United States, in particular, experiences an unfavorable process of socioeconomic integration and, as a result, is less likely to be covered by health insurance programs, which is a major determinant in accessing medical services and enjoying long-term good health. Enrollment of Mexican immigrant women in U.S. public health programs, in particular, is at a low level—15 percent in 2012, according to the National Population Council of Mexico. Much of what is known about the Mexican immigrant population's access to health care in the United States is based on combined data for both sexes. However, in terms of health, women have different experiences and needs, and it is therefore important to deepen knowledge of health determinants, access to and use of health services, and the health status of this group in particular. This article provides a comparative analysis of health outcomes of Mexican immigrant women in the United States (regardless of legal status), and considers evidence for what is known as the immigrant paradox—the idea that these women enjoy a better state of health overall than might be expected, given their socioeconomic status and very limited health insurance coverage in the United States. Based on a report by a binational research team at the National Population Council of Mexico (CONAPO) and the University of California, the article focuses on Mexican immigrant women ages 18 to 64 and compares their health outcomes to those of three other groups: immigrant women from other countries than Mexico, native-born black women, and native-born non-Hispanic white women. Mexican women comprise the largest female immigrant group in the United States. In 2011, there were 5.4 million Mexican women, constituting 47 percent of the Mexican immigrant population in the United States, according to the American Community Survey (ACS). The number of Mexican women was five times greater than the second largest group, Filipina women; Mexican women accounted for 26 percent of female immigrants, while Filipina women accounted for 5 percent. The predominance of Mexican women is generally reproduced regionally around the United States. In 2008, Mexican women represented over 40 percent of the female immigrant population in ten states in the United States, a considerable figure taking into account that this measurement accounts for a single national origin group. The composition in age and family structure of the female Mexican population emphasizes the need for reproductive, maternal, and child health services. In comparison with other female groups, Mexican women are concentrated in the middle ages of the life cycle. Eighty-six percent are between the ages of 18 and 64 years — the age group selected for this study (see Table 1). Source: CONAPO estimates based on the Census Bureau's Current Population Survey, March 2012. Mexican immigrants in general are characterized by an elevated rate of lack of legal status—59 percent of the U.S. unauthorized population was born in Mexico, according to 2011 estimates. Women made up 47 percent of all unauthorized immigrants, according to the Department of Homeland Security (DHS) Office of Immigration Statistics. Mexican immigrants also naturalize at low rates—as of 2011, only 36 percent eligible for naturalization had taken U.S. citizenship (compared to 68 percent for all non-Mexican immigrants), though it is unknown exactly how many are women. Mexican immigrant women also had the lowest level of participation in the formal labor market (53 percent in 2011) when compared with other immigrants (68 percent), native-born non-Hispanic white women (71 percent), and native-born black women (70 percent). This situation is even more acute for working women with children under the age of 6 (about 35 percent), an indication that they face greater difficulty in reconciling work and child care. The reduced labor market access of Mexican immigrant women, especially in formal occupations with decent salaries and benefits, limits them to living in more precarious economic conditions (see Table 2). It also limits their access to employer-based health insurance. Mexican women are least likely to be covered through this mechanism (29 percent) compared to native-born non-Hispanic white women (71 percent), other immigrant women (57 percent), and U.S.-born black women (49 percent). In 2012, 52 percent of Mexican immigrant women lived in low-income families, that is, families with incomes below 150 percent of the U.S. federal poverty level ($23,050 in 2012 for a family of four with two children under 18). Mexican immigrant families with children under age 18 face a number of challenges that may contribute to health problems, including higher levels of food insecurity, limited English proficiency, and low educational attainment, as well as stressors related to legal status and the climate of reception in the host community. Note: Low income indicates below 150 percent of the federal poverty level in the United States. The Affordable Care Act signed into law in March 2010 incorporated millions of people previously excluded from the health system. However, federal law prohibits unauthorized immigrants, as well as immigrants with fewer than five years of legal residence, from accessing public benefits. (Some variation exists for state-funded benefits.) Unauthorized immigrants are barred from participating in health exchanges where individuals can purchase affordable coverage, though legal immigrants—like citizens—face an individual mandate to be covered and have access to these exchanges. Women's use of health services varies by ethnic/racial group, age, health needs, socioeconomic and cultural factors, and technological, linguistic, and migratory factors, among others. Levels of health insurance coverage in the United States are related to processes of socioeconomic integration that also vary by ethnicity/race and migratory status. Marginalization of certain immigrant minorities is associated with exclusion from the health system. Groups that are better integrated economically and socially have higher levels of health insurance coverage. Information obtained from the Census Bureau's March 2012 Current Population Survey and compiled by CONAPO reveals that Mexican immigrant women in the United States generally face obstacles in accessing the health insurance system. More than half lack any type of health coverage. The health insurance profile of immigrants from countries other than Mexico is more favorable (26 percent lack coverage) and is similar to that of native-born black women (23 percent). Only about 14 percent of native-born non-Hispanic white women lack health insurance coverage, the lowest level detected among the surveyed groups. There is a direct relationship between access to health insurance coverage and being covered by private health insurance, which is generally obtained through employment (one's own or that of a family member). Mexican women have the lowest levels of health insurance coverage of all ethnic groups in the United States, and are least likely to obtain health insurance through an employer (see Table 3). Just 29 percent of Mexican women receive health coverage through their employer, compared to 71 percent for native-born non-Hispanic white women, 49 percent of native-born black women, and 58 percent for immigrant women from countries other than Mexico. This is related to their over-representation in low-wage occupations that do not offer benefits. Many female immigrants from Mexico work in the agricultural and service industries—sectors with high incidences of work-related injuries and professional diseases. Textile workers are the least protected group, with three of four women of all origins lacking health insurance. Mexican women are less likely to benefit from public programs for low-income families, in large part because they have not naturalized or have not completed five years of legal residence, which as mentioned earlier are requirements for access to most public benefits. It is not surprising that Mexican women in this situation, especially those who lack legal status, tend to delay the diagnosis or treatment of disease, and in cases where they must call on hospital centers, may face financial crisis. Delaying attending to health needs until an emergency room visit is required also results in greater health costs for society as a whole. At the state level, Mexican women's health insurance coverage varies significantly, perhaps linked to economic integration and health policies, both of which can vary widely from one state to another. The states with the highest shares (between 80 percent and 65 percent) of Mexican women without health insurance are, in order, Mississippi, Georgia, Ohio, Oklahoma, New Jersey, Colorado, Florida, and North Carolina (see Figure 1). On the other hand, Michigan, Arkansas, Iowa, California, and Illinois have the lowest shares, ranging from 38 percent and 45 percent. The issue of public access to health care has been a recurring theme on the legislative agenda in the past decade. The number of state policies affecting unauthorized immigrants on health-related issues was particularly high during the 2005-09 period: the National Conference of State Legislatures (NCLS) counted 26 state legislatures that had approved around 120 initiatives affecting unauthorized immigrants in areas related to medical attention and restrictions in access to public health programs. Such measures may be employed to discourage immigration. Mexican women are in a better state of health overall than might be expected, given their socioeconomic status, low levels of health insurance coverage, and limited use of health services, according to a review of National Health Interview Survey (NHIS) data collected by the Census Bureau. Some authors refer to this as the immigrant or Hispanic paradox. However, the paradox is a multifaceted phenomenon that may be related to various factors as explored below. NHIS data from 2009 reveal that, compared with other groups, there is a low prevalence of certain chronic diseases among Mexican women, such as cardiovascular diseases, cancer, or hypertension, which could be related to the younger age structure of the female Mexican immigrant population. Maternal health outcomes of Mexican women also seem to reinforce the immigrant paradox, as explored further below. However, health outcomes of Mexican women are mediated by distinct factors that contribute to less frequent diagnosis: being an unauthorized immigrant, disproportionate incidence of poverty, low educational trajectories, and low levels of health insurance coverage and health service use. Statistics also show that Mexican women are more likely to be diagnosed with a few diseases in particular with important implications for long-term health, for example diabetes. Data show that Mexican women are at greater risk of developing diabetes the longer their stay in the United States, although other causal factors could be responsible in light of the fact the age cohort surveyed here (ages 18-64) is so large. The incidence of diabetes is particularly elevated among Mexican women with more than ten years of residence in the United States (10 percent) when compared to non-Hispanic white women (6 percent). Among recently arrived Mexican women, only about 2 percent reported having the disease. It is possible that the poor dietary habits acquired in the United States, combined with the effects of insufficient medical monitoring and other factors have accelerated the development of diabetes in this population. In fact, looking at the Latino population more broadly, diabetes is the fifth most frequent cause of death for Latinos living in the United States. Diabetes is a grave disease that requires lifelong treatment and follow-up, without which the risk for severe complications, such as blindness, amputations of lower limbs, and cardiac and renal problems, notably increases (see Table 4). Source: CONAPO estimates based on the Census Bureau's National Health Interview Survey, 2009-11. Available online. A prior CONAPO review of 2009 Current Population Survey data found that Mexican immigrant women are also diagnosed more frequently than other groups with peptic ulcers: nearly half (46 percent) declared having some type of ulcer, gastric or duodenal, in the 12 months prior to the interview. This proportion is higher than that of native-born non-Hispanic white women (27 percent) and native-born black (33 percent) women. The results discussed in this section indicate that Mexican immigrant women who suffer from health problems, both curable (peptic ulcer) and chronic (diabetes), may face greater difficulties in receiving treatment, or at least in improving their state of health and quality of life. Lifestyle diseases also have a significant effect on the health of Mexican women living in the United States; the frequency of overweight and obesity among Mexican women is particularly worrisome. National Health Interview Survey data suggest that Mexican women, together with native-born black women, have greater problems maintaining a healthy weight (71 percent and 76 percent, respectively), which can contribute to cardiovascular and other health problems. The problem of excess weight is more moderate in Mexican women than in black women, as they tend to report more overweight (35 percent) than obesity (32 percent) and extreme obesity (4 percent). Obesity and extreme obesity affect 36 percent and 13 percent of native-born black women, respectively (see Table 5). Notes: 119 to 24 pounds within weight range; 225 to 29 pounds overweight; 330 to 39; 440 and over; 5 less than 19. Source: CONAPO estimates based on the National Health Interview Survey, 2009-11. In some areas, Mexican immigrant and Latina women experience positive health outcomes. A number of studies show positive birth outcomes such as low infant mortality rates for Latina women in general and Mexican women. In 2009, infant mortality rates for Mexicans were lower than for non-Latino whites (5.1 per 1000 live births vs. 5.3). Among women of Latino (including Mexican) origin, infant mortality rates were lower for women born outside of the United States than for U.S.-born women. Low birth weight rates for Latina women in the United States were roughly comparable to those of non-Latina whites and less than for some other groups in 2009, according to the 2013 National Vital Statistics Reports. Theories to explain the apparent discrepancy between the lack of access to services and positive birth outcomes range from differences in prenatal practices and changes in diet that accompany the acculturation process to theories of migratory processes of selection. A 2002 study revealed that Mexican women tend to fare better in terms of prenatal health practices than women born in the United States, for example, in terms of consuming healthier foods and less alcohol, tobacco, and drugs, and this may contribute to their healthy pregnancy outcomes. Also, less acculturated Mexican women are more likely to engage in breastfeeding, a maternal practice that may have bearing on child development. A 2007 study showed that breastfeeding rates decline with length of residence for immigrant women and for U.S.-born Latinas. Because birth outcomes decline rather than improve with acculturation, it has been hypothesized that selective migration or differing acculturation trajectories may account for some of the disparity between less and more acculturated Latina immigrants and U.S.-born Latinas. Aspects of Mexican culture such as psychosocial support and familialism (a protective family structure referenced in Mexican culture) may play a role in supporting the perinatal health practices of Mexican women in this sense. According to the NHIS data used in this report, Mexican women may be in a better state of health overall than might be predicted, given their socioeconomic status and their low levels of health insurance coverage and use of health services. However, this so-called immigrant paradox could be due in part to selection bias resulting from return migration (when migrants return to their countries of origin when they age or get sick), or the possibility that migrants tend to be healthy, resilient individuals. It is also possible that the prevalence of these diseases is under-registered. The most disadvantaged groups face greater difficulties in making regular visits to the doctor, and within this group, there is a greater probability that the diagnosis of an illness depends on the development of serious symptomatology that requires medical attention. This incentive is not shared by those who present mild clinical problems or illnesses still in symptomatic phases. The information concerning the prevalence of certain diseases seems to corroborate the hypothesis of under-registration. In this sense, it is necessary to investigate whether Mexican women indeed experience certain illnesses less frequently or whether there are problems with the medical diagnosis related to limited health coverage, financial difficulties, or fear of seeking health services due to the lack of legal status, among others. Without a doubt, a large number of Mexican women with legal status will benefit from the provisions of the Affordable Care Act, and their levels of health insurance coverage will likely increase across the United States. However, the exclusion of unauthorized immigrants from affordable insurance though health exchanges and Medicaid remains a significant barrier to disease prevention and the good health of this population. Their inclusion in the health system would likely be subject to overhaul of the U.S. immigration system — a legislative goal that has drawn substantial attention over the past decade, and again in the 113th Congress convened in January. Concerns in the near future may include debate over whether coverage would be extended to the unauthorized immigrant population, and if so, what kind of coverage. The Obama administration's decision in 2012 to deny Medicaid coverage to young unauthorized immigrants receiving work permits and a two-year reprieve from deportation has implications for the current immigration debate and the question of inclusion in the health system created under the Affordable Care Act. In the contrary case, the debate may shift to whether and what alternatives should be pursued. The possible benefits of injecting into coverage pools a large number of young and healthy people—of which Mexican women may make up a significant part—may also factor into the ongoing debate. However, as things stand in early 2013, Mexican immigrant women will continue to seek services principally at community health centers, where low-income families may seek treatment regardless of migratory status. Abraído-Lanza, A. Et. Al. 1999. The Latino Mortality Paradox: A Test of the 'Salmon Bias' and Healthy Migrant Hypotheses. American Journal of Public Health, 89 (10): 1543-1548. American Cancer Society. 2006. Cancer Facts and Figures for Hispanics/Latinos 2006-2008. Atlanta. James, C., et al.. 2009. Putting Women's Health Care Disparities on the Map: Examining Racial and Ethnic Disparities at the State Level. Menlo Park, CA. The Henry J. Kaiser Family Foundation. James, C., et al. 2007. Key Facts. Race, Ethnicity and Medical Care. Menlo Park, CA. The Henry J. Kaiser Family Foundation. Castañeda, X. and Felt, E. 2011. Health Reform in California's Latino Immigrant Community. Health Initiative of the Americas. University of California at Berkeley, School of Public Health. Ceballos, M. and A. Palloni. 2010. Maternal and infant health in Mexican immigrants in the USA: the effects of acculturation, duration and selective return migration, Ethnicity and Health 15(4): 377-396. Centers for Disease Control and Preventcion (CDC). National Center for Health Statistics. VitalStats, Washington, DC. Available online. Centers for Disease Control and Prevention (CDC). National Center for Health Statistics. National Health Interview Survey. Microdata, 2007-2011. Washington, DC. Available online. Fuller B., et al. 2009. The Health and Cognitive Growth of Latino Toddlers: at Risk or Immigrant Paradox? Journal of Maternal & Child Health 13:755-768. Gorman J.R., et al. 2007. Early postpartum breastfeeding and acculturation among Hispanic women. Birth 34(4):308:15. Guendelman, S. and A. Seiga-Riz. 2002. Infant Feeding Practices and Maternal Dietary Intake Among Latino Immigrants in California. Journal of Immigrant Health 4(3). Jasso, G., et al. 2002. Immigrant Health-Selectivity and Acculturation, in: Anderson, N., et al (eds.) Critical Perspectives on Racial and Ethnic Differences in Health in Late Life. Washington, DC. National Academy Press. Mathews T and M. MacDorman. 2013. Infant Mortality Statistics From the 2009 Period Linked Birth/Infant Death Data Set. National Vital Statistics Reports, 61-8. Centers for Disease Control and Prevention. January 24, 2013. Available online. National Population Council of Mexico (CONAPO). Migration and Health: Latinos in the United States. 2008. Mexico. Migration and Health: Mexican Immigrant Women in the United States. 2010. National Population Council of Mexico (CONAPO). Mexico. Available online. National Conference of State Legislatures (NCLS). State Laws Related to Immigration and Immigrants. Immigrant Policy Project. Available online. National Governors Association. 2010. The Implementation timeline of the health reform, reflecting the Affordable Care Act of 2010. Washington DC. Available online. National Vital Statistics Reports. 2010. Supplemental Tables. 59 (1). December 8. Centers for Disease Control and Prevention. Office of Immigration Statistics. 2011. Estimates of Unauthorized Immigrant Population Residing in the United States: January 2011. Available online. Odgen C, Carroll M. Prevalence of Obesity Among Children and Adolescents: United States, Trends 1963-1965 Through 2007-2008. National Center for Health Statistics, Center for Disease Control and Prevention. Palloni, Alberto, Elizabeth Arias. 2004. Paradox Lost: Explaining the Hispanic Adult Mortality Advantage. Demography 41 (3): 385-415. Pew Hispanic Center (PHC). 2007. Hispanic Healthcare Survey, 2007. Microdata. Washington, DC. Robert Wood Johnson Foundation. Available online. Pew Hispanic Center. The Path Not Taken. February 4, 2013. Available online. 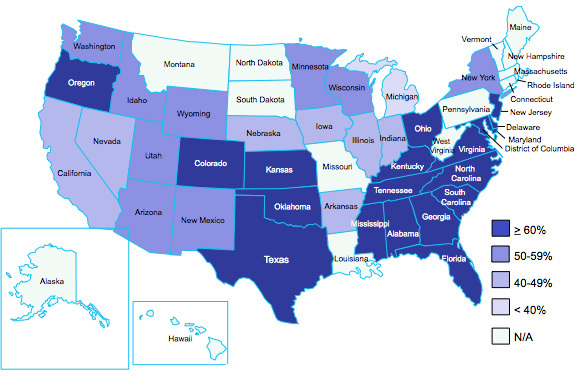 Prevalence of Diabetes among Hispanics in Six U.S. Geographic Locations. 2002. Fact Sheet. Centers for Disease Control and Prevention. Available online. Reyes Ortiz, Carlos A., Hyunsu Ju, Karlo Eschbach, Yong-Fang Kuo, James S. Goodwin. 2009. Neighborhood Ethnic Composition and Diet among Mexican-Americans. Public Health Nutrition 12 (12):2293–2301. Ruggles, Steven, J. Trent Alexander, Katie Genadek, Ronald Goeken, Matthew B. Schroeder, Matthew Sobek. 2010. Integrated Public Use Microdata Series: Version 5.0 (Machine-readable database). Minneapolis, University of Minnesota. American Community Survey Microdata, 2008. Available online. Salganicoff, Alina, Usha R. Ranji, Roberta Wyn. 2005. Women and Health Care: A National Profile. Key Findings from the Kaiser Women's Health Survey. Menlo Park, CA. The Kaiser Family Foundation. Smith, David P., Benjamin S. Bradshaw. 2006. Rethinking the Hispanic Paradox: Death Rates and Life Expectancy for U.S. Non-Hispanic White and Hispanic Populations. American Journal of Public Health 96 (9): 1686-1692. United States Census Bureau. Current Population Survey. Microdata 2005, 2006, 2007, 2008, 2009, y 2012. Available online. Xochitl Castaneda is the Director Health Initiative of Americas at the UC Berkeley School of Public Health. Emily Felt is currently the Binational Health Analyst at the Health Initiative of the Americas (HIA) at the UC Berkeley School of Public Health. Marc Schenker is Professor in the Department of Public Health Sciences at the University of California Davis School Of Medicine. Telesforo Ramirez is an Area Director at CONAPO. Paula Leite is the Director of Socio-Economic Studies and International Migration at CONAPO. Adela Angoa is the Assistant Director of Socio-Economic Studies and International Migration at CONAPO. Special Issue: Regional Migration Perspectives: Trends, Patterns, and Policies in Central America, Mexico, and the U.S. The Migration Information Source has launched a special issue that focuses on the topic of migration in the United States, Mexico, and the Northern Triangle of Central America.